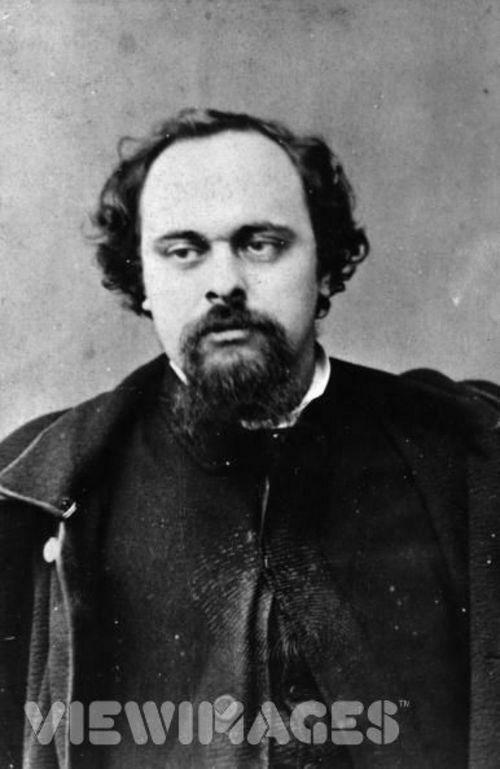 Dante Gabriel Rossetti was a painter and poet born in London in 1828 and was co-founder of the Pre-Raphaelite Brotherhood which attracted many of the most notable artists and writers of the day. 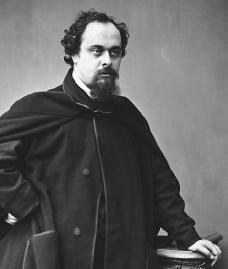 His parents were Italian immigrants who home educated the young Rossetti, allowing him access to classic works by the likes of Shakespeare and Byron. He wanted to be a poet and artist from a young age and went to King’s College in London. 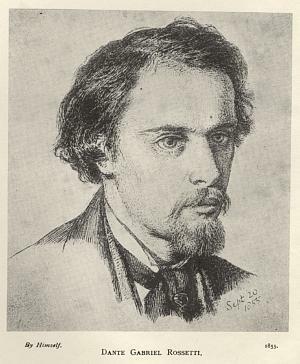 He studied at various centers for art including a period under the wing of Ford Madox Brown and formed an enduring friendship with fellow artist William Holman Hunt. 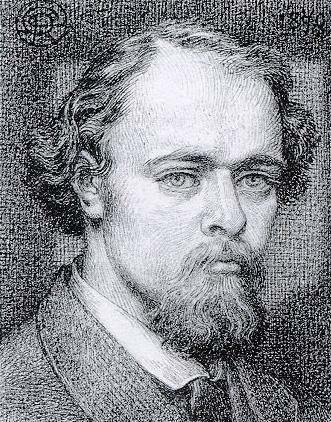 Underpinning their formation of the Pre-Raphaelite Brotherhood a short time later, was Rossetti’s desire to bring together romantic poetry with art. The movement’s doctrine was also to turn away from the mechanistic techniques that had crept into painting since the time of Raphael. In 1845 Rossetti started translating Italian and German poetry, including many by his hero Dante Alighieri. For most of his life he divided his time between his painting and poetry and the Brotherhood, with its membership growing, provided a sounding board of criticism and encouragement. 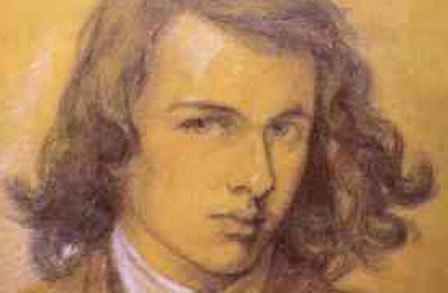 Towards the end of the 1840s Elizabeth Siddal became his model. 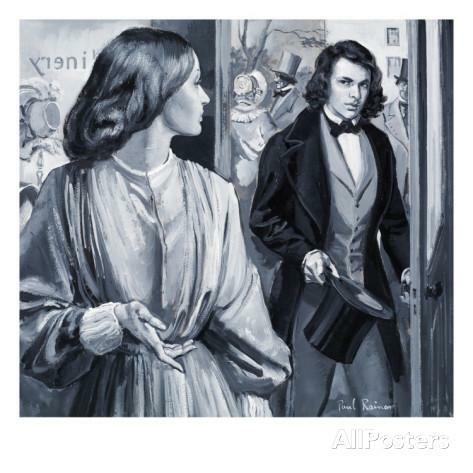 He later married her but she committed suicide when their only child died, sending Rossetti into a deep depression. He buried a collection of his poetry with her body, something he later regretted. 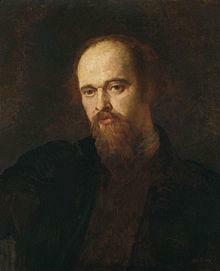 In the 1850s and 60s, he began contributing poems to journals such as the Oxford and Cambridge Magazine and his fame started to grow. 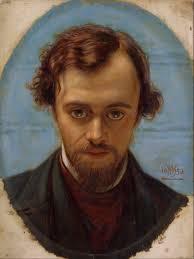 By then Rossetti was having an affair with Jane Burden but began suffering poor physical and mental health around the late 1860s. That relationship and his growing poor health seemed to encourage more vivid poetry including his Willowwood Sonnets. 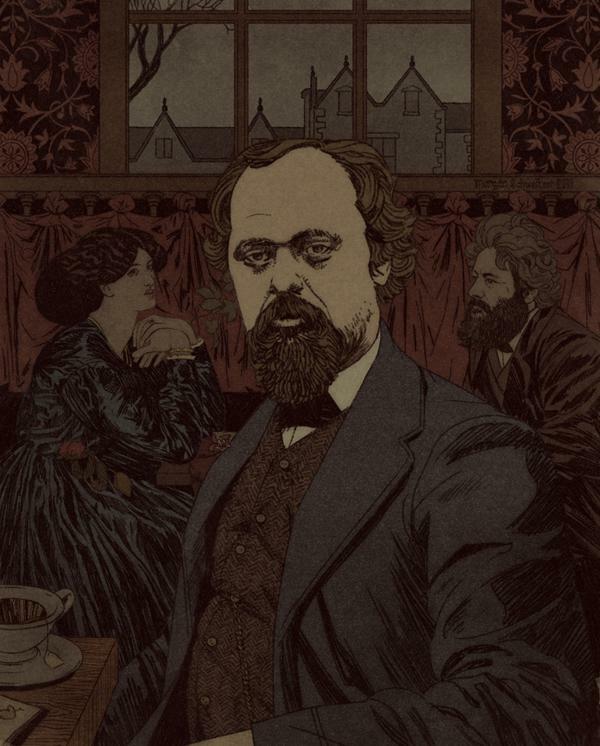 In 1869, Rossetti decided that he wanted to publish his lost poetry and paid for someone to recover the manuscript he had buried with his wife. His health problems were exacerbated by a sudden addiction to chloral and whiskey that induced a sense of paranoia leading him to become more fearful and reclusive as he grew older. 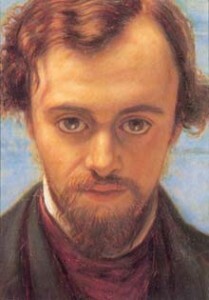 Although the pamphlet had little real affect and Rossetti’s poetry had received mostly good reviews, the incident caused a mental breakdown that saw him trying to commit suicide. Staying with various friends and he began to write poetry again, including the sonnet The Sun’s Shame. His tone during this time was more melancholic than romantic and his health continued to decline over the years. 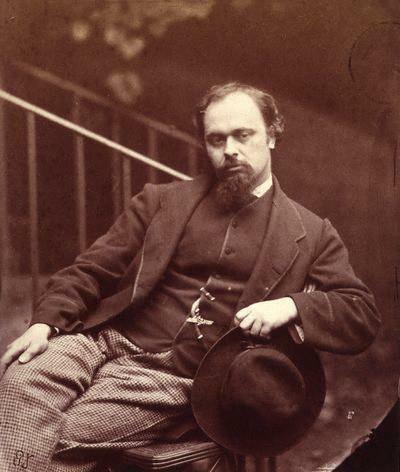 In 1882 Rossetti died from Bright’s disease at the house of a friend after going there to try and recover his poor health. He was buried in the Parish Church in Birchington, Kent.